This is the SLHS Theatre page! and the Speech Team is found here! 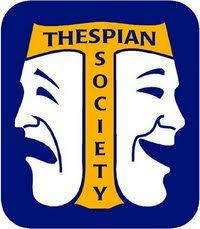 Registration form is located on the Drama Classes tab in the sidebar. Congratulations to Wesley Woodcock who placed 2nd in the state in Humorous Interpretation and to Lily Fugita and Gurkiran Kaur who placed 9th in the state in Duo Interpretation! Want more information or have questions - see Mrs. Reed in A100.